When Email Becomes Social | ASTRALCOM - Content Strategy, Conversion Marketing and Customer Acquisition. 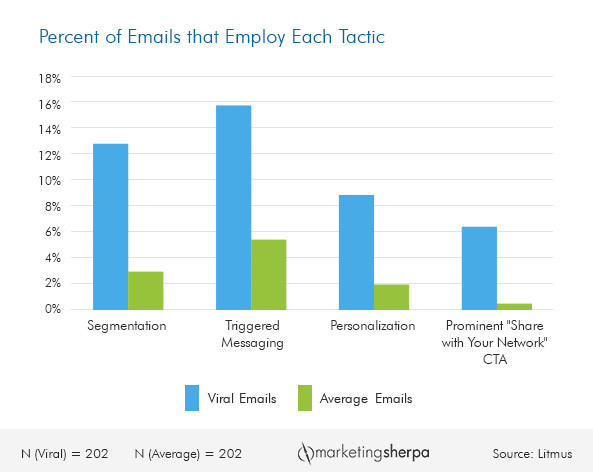 Daniel Burstein, Director of Editorial Content, and Dr. Liva Van Scotter, Editorial Research Manager over at MarketingSherpa provide some rather interesting insights in this post that explores factors that influence commercial email forwards. It’s a great read and provides a lot of good insight and ideas to make emails more effective all the way the around. We begin to introduce a similar train of thought in our post Social Commerce and the Relationship Economy. What’s all the Hype? from October 2014. Don’t have time to read, create and test your own email content and marketing strategies? We can help; that’s what we do. Just click or call us at 800.536.6637 and we’ll help you out.